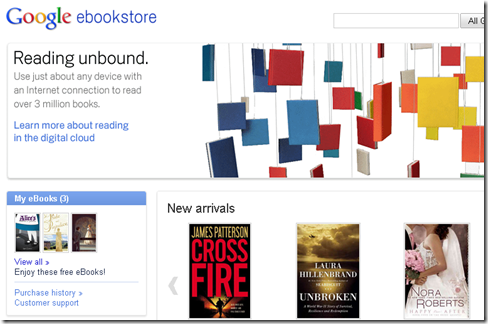 Google has gotten in headfirst into the eBooks market by launching Google eBooks. Amazon, Apple and Barnes & Nobles have been the major players in the eBooks market on their Kindle , Apple iPad and Nook ebook reading devices. 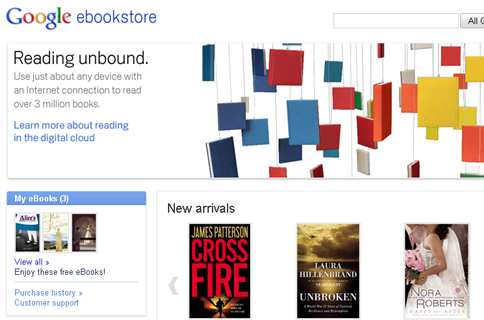 Google has also launched their own Google eBookStore to sell Google eBooks online. The store has launched with 3 million titles including hundreds of thousands for sale. It has a great collection of the classics from the free public domain. Google eBooks has been designed to be open as far as devices on which it can be read. You can read Google eBooks from laptops to netbooks to tablets to smartphones to e-readers. On the web you can read Google eBooks with the new Google eBooks Web Reader. Also, they have launched a Google eBooks iPhone app and an Android app so you can read it on your favorite device as well. Also, Google has made it easy for you to buy from Google or any other Vendor selling it in ePub format. So, you can buy, store and archive your books collection in your password protected Google account without any limits. Does the world need another eBook store? What do you think?